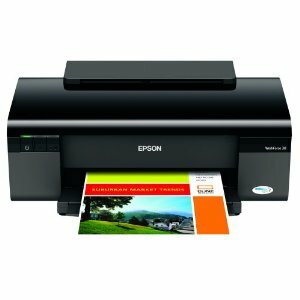 Epson Workforce 30 is a good upgrade equipment for anybody who's looking for the latest in economical printers. It prints laser quality documents in a snap and produces top quality photos using any type of paper whether glossy or matte or its variations. The speed by which it prints is quite fast which allows me to wind-up with work in just a short span of time. One thing that adds to the speed is its ability to do double-sided printing without having to wait for the ink to dry. What's impressive is that the documents come out as smudge-free. Epson Workforce 30 is a small printer but its autoload tray can handle up to 100 sheets of paper. This means anyone who is also looking for a printer that can process more than 75 envelopes could probably consider this printer which accepts different types of envelope like No. 10 or C6. What I really love most is the wide selection of paper material I can use. I can print text documents one moment and jump to scrapbooking the next. Since the Epson Workforce 30 is a fast performer, there are times when I can spare a few more minutes to update on my scrapbook projects. This doesn't take much time to do since I can print scrapbook templates straight from the web pages down to the printer. No need to download them in my PC but print templates in exactly the same way they appear on the web pages where the template is coming from. I can use different applications with Epson's Easy Photo Print software once in awhile because Im done with the main task of document printing. I guess it's not called Epson Workforce 30 for just any reason at all. I sure get to have the feeling that the printer is more overworked than I am. In fact the laser quality you would expect from a laser printer can be considered as met by this inkjet printer. This then makes up for maximum ink usage without the need to meet volume in order to realize the benefits of laser printing when it comes to ink usage. My old but trustworthy Epson NX 515 is also near its retirement stage as far as printing document goes. But its scanning, photocopying and fax messaging capabilities are still dependable. I only had to shell out $60 to get my home office upgraded by buying this Epson Workforce 30. Now I have laser quality prints, that use different applications to print photos, scrapbooking templates and print directly from the web. All these just by adding a small workhorse that has large capacity. Epson Workforce 30 doesn't even add-up much in utility costs since it can print at three times less than the power consumption of laser printers.